Samsung Galaxy S5, the much awaited handset from Korean giant has been officially launched in India. The Samsung Galaxy S-5 is company’s latest smartphone and is priced at INR 51K (starting ). The Global variant of the Phone is powered by Snapdragon 801 Chipset, while the Indian S5 is powered by Samsung’s own Octa core Exynos 5422 chipset. 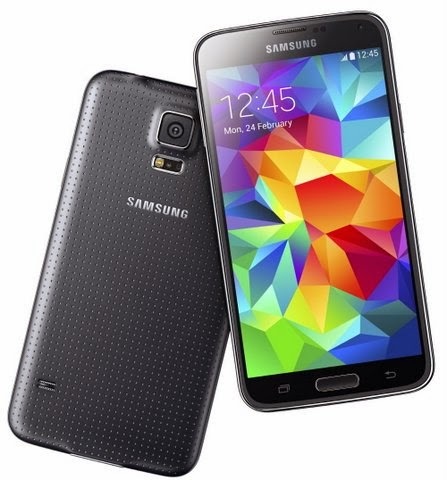 The Samsung S5 comes with vigorous specs, although many smartphone lovers are not happy with the kind of specs it has. Many were thinking that the company’s new flagship will have 2K Ultra HD display, while in REAL WORLD it is 1080p FHD. It would compete with Recently launched HTC ONE M8, Oppo Find 7, ZTE Nubia X6 and Sony Xperia Ultra Z1. The new Samsung S5 Galaxy has 5 inch 1920 x 1080 pixels Full HD SUPER AMOLED DISPLAY and Exynos OCTA Core 5422 CPU ( TURE OCTA CORE ). It runs on latest Android version, the Android 4.4.2 Kitkat. It packs with massive 16-megapixel shooter with BSI sensor + Flash and a 2.1MP front imager. The phone is capable of recording ULTRA HD videos, WOW COOL !. The company has made several changes in Galaxy S5, especially the back cover. According to the company the design is much superior than Galaxy S4, as it features 1p67 rating for dust and water resistance. Gionee Elife E7 and Google Nexus 5 would be the main the Main Rival for the phone in India. It is 8.1mm thick and weighs 145 grams. To make the phone snappy there is 2GB of RAM and 16GB of internal storage. It offers 3G, Bluetooth v4 LE, WiFi 802.11 ac, GPS, USB 3.0, NFC and USB OTG. To make the handset Run there is 2800 mAh battery. Like Apple Iphone 5S the Samsung Galaxy S5 has Finger Scanner. The Samsung Galaxy S5 is priced between INR 51000 and RS 53000. It will be available in Black, White, BLUE and Gold color. It will go on pre-order by tomorrow. The Lowest price for the device would be announced on 11th of April 2014.